Many important traits in livestock, agriculture and human health have a quantitative genetic inheritance. Great advances have been achieved in genetics and statistics, which provided analytical methodologies (i.e. genome-wide prediction) that permit a better understanding and prediction of these complex traits. The purpose of this workshop is to present and discuss recent results and theoretical developments of statistical models used to predict the phenotype of complex traits using genomic data. We welcome you to attend four talks that will include results from humans, trees, crops and livestock. 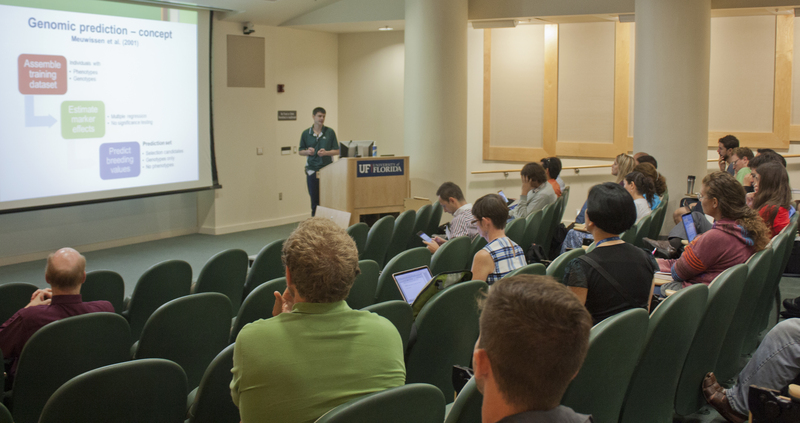 The workshop target audience is faculty, students, researchers and breeders working with plant, animal or human genomic data. This includes plant and animal breeders evaluating phenotype prediction for cultivar/animal performance (i.e. yield, disease) and human geneticists/biologists studying complex traits (i.e. prediction of disease incidence). The workshop speakers represent a broad spectrum of disciplines. This workshop will include live streaming online, in addition to the the option to attend on the University of Florida campus. NOTE: The link for live streaming will be sent out Monday, Aug. 22, 5 p.m. EST. If you register after this time, you will not be able to access the event online. Jannink’s work with the USDA involves developing methods to use DNA markers in public sector breeding. The ongoing declines in the costs of marker development and deployment make feasible the genotyping at high density of many, if not all, breeding lines, even for small public breeding programs. He works on statistical methods to analyze the data with the goal of improving selection decisions. At the moment, he is particularly interested in “genomic selection,” which couples the power and relevance of large plant breeding populations with high density, highly multiplexed marker technology to improve quantitative traits. Applying new statistical methods to the hundreds of thousands of detectable polymorphisms, genomic selection simultaneously estimates effects for all markers, allowing it to capture even the many small effects determining quantitative traits. Thus, genomic selection can accurately predict agronomic performance on the basis of marker data alone. 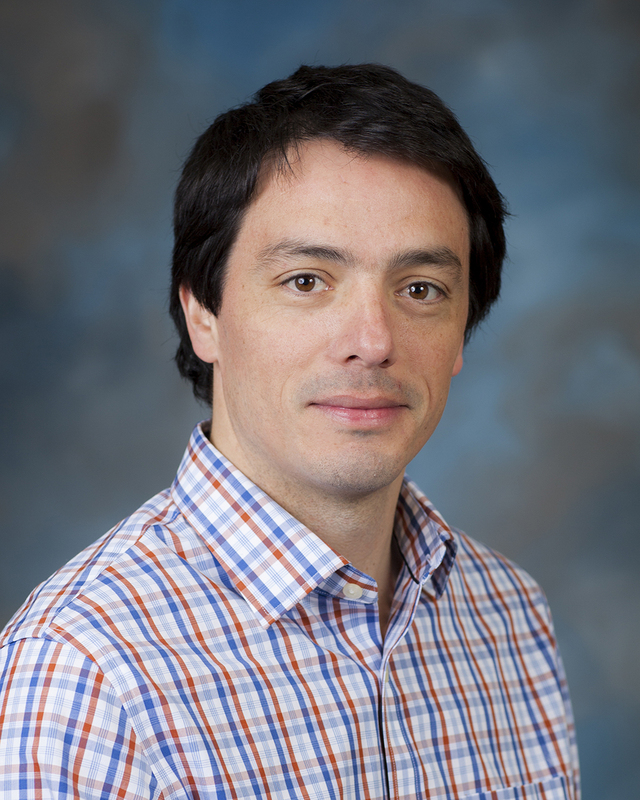 Peñagaricano is broadly interested in statistical and quantitative genetics and genomics. 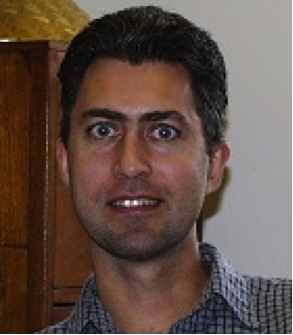 His research program focuses on the development and application of statistical and computational methods for the analysis of phenotypic and molecular data in livestock species. Current research topics include (1) genetic and genomic analysis of production, reproduction, and health traits in dairy cattle, (2) evaluation of the effects of maternal nutrition during pregnancy on the epigenome and transcriptome of the offspring, and (3) inference of causal gene-phenotype networks in multivariate genetic systems combining structural equation models and molecular information. Vanraden develops methods to compute genetic evaluations and genomic predictions. He also investigates differences among dairy cattle for many traits and estimates trait economic values in genetic merit indexes. His research involves developing efficient statistical methods to process phenotype, genotype, pedigree and DNA sequence data for very large national and international populations. Bjarni J. Vilhjálmsson is currently a postdoctoral researcher at the Bioinformatics Research Centre at Aarhus University in Denmark. 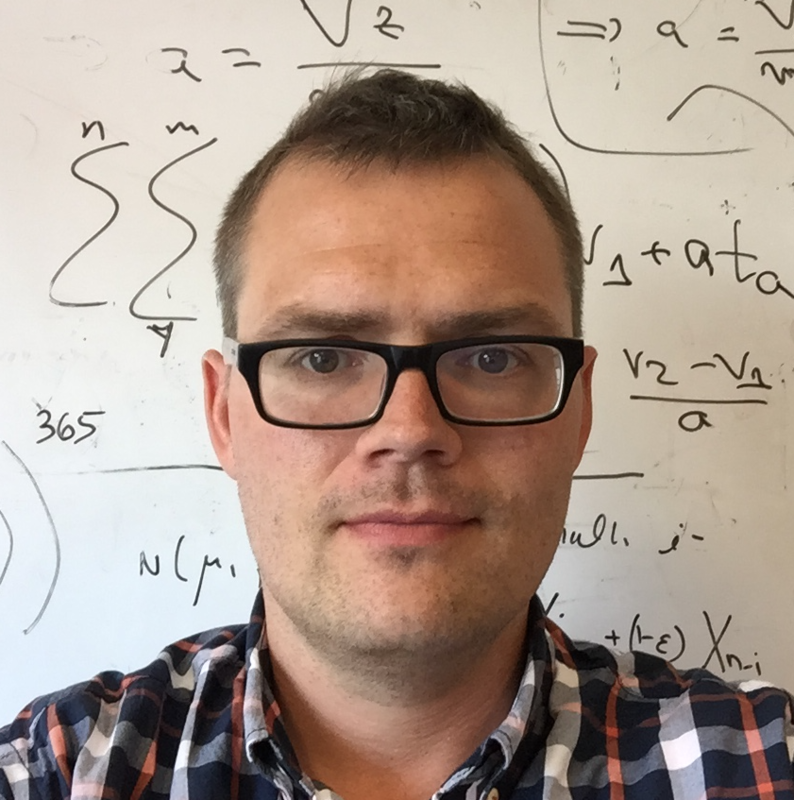 Vilhjálmsson received his PhD in Computational Biology from the University of Southern California in 2011, where he developed, and applied, statistical methods for genome-wide association studies in structured populations under the supervision of Magnus Nordborg, PhD. In 2012 he became a postdoctoral fellow with Prof. Alkes Price at Harvard University, before moving to at Aarhus University in Denmark, Denmark in 2014 on an independent postdoctoral grant from the Danish research council. His current research interests include developing statistical methods for polygenic trait prediction and genetic disease risk assessment. 9:20 a.m. – 10:10 a.m. Contact: Marcio Resende (mresende@ufl.edu) or Patricio Muñoz (p.munoz@ufl.edu) with questions.